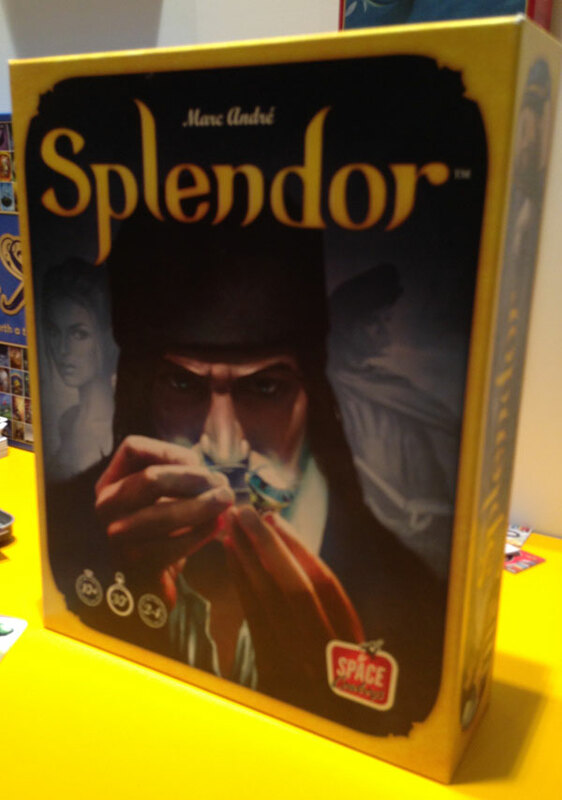 One of the busiest booths at NY Toy Fair’s first floor boardgame section was Asmodée’s. 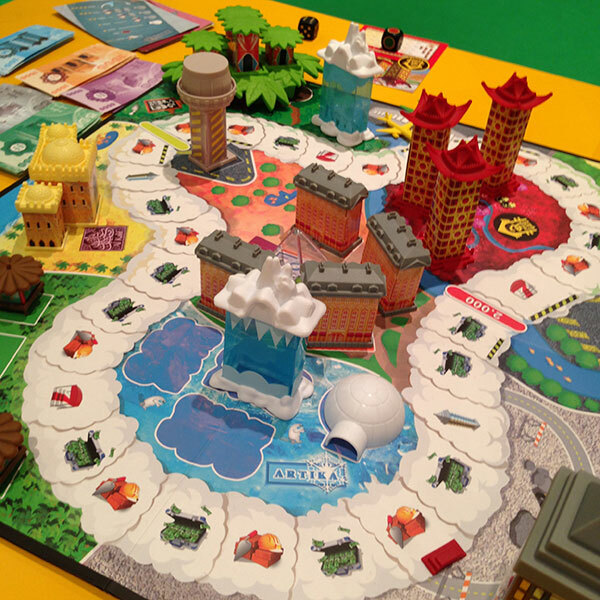 Several bright yellow tables were full of games–some demos, others simply set up to showcase the game. While there were dozens of games available for buyers to examine, there were a large number of items debuting. 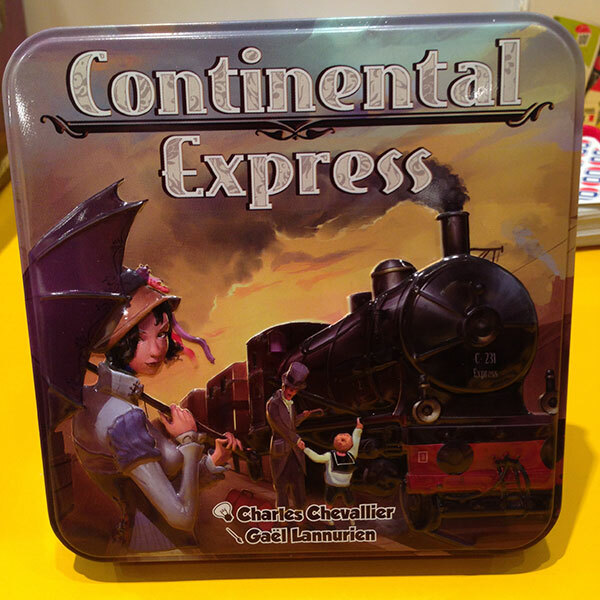 Two games in embossed metal tins the size of the Timeline series where demoed first: Continental Express and The Builders: Middle Ages. 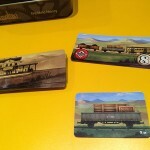 Continental Express is a game about completing train deliveries. 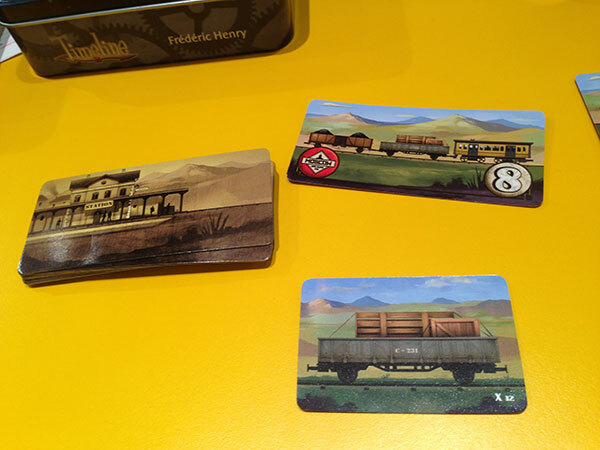 Three cards are shown, each showing the three different train cars that are needed to complete a delivery. Underneath the three delivery cards is a matrix of train cards and workers. Draft a card into your hand from the left and all cards that row shift over. You’re seeing what train cars are coming up and may be maneuvering good cards to a position where your opponent can grab them easier. 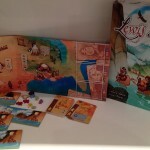 Add in a secret victory condition for each player, and there’s your fast-playing set collection train game in a tin. 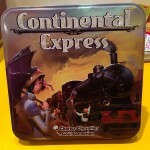 Continental Express is due in mid-March and retails for $18. 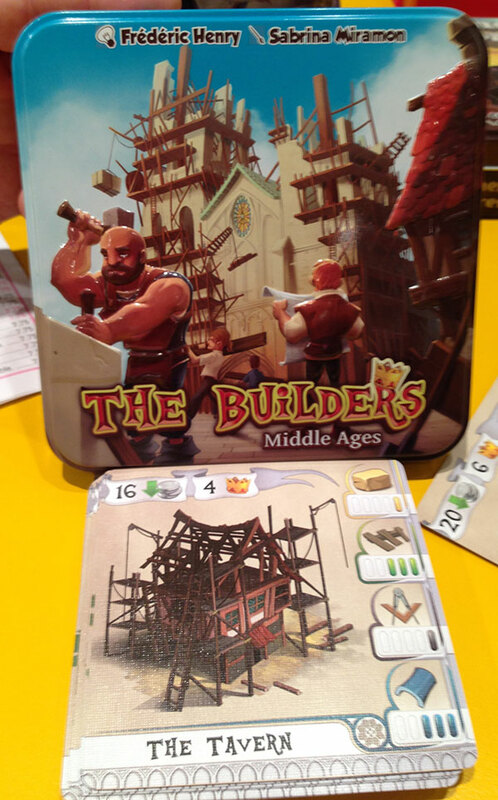 The Builders: Middle Ages is a card game about creating buildings in the Middle Ages. Pretty simple description, no? 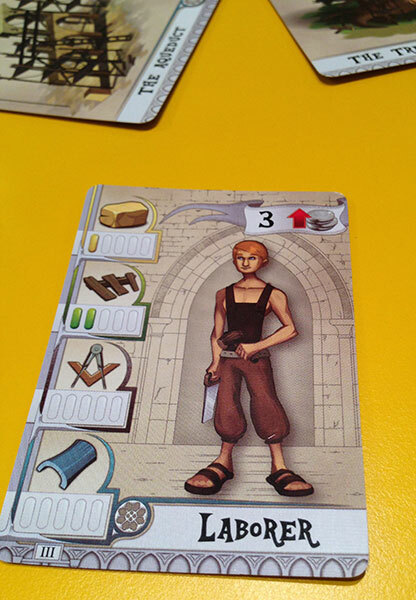 Square cards featuring buildings, like The Mill or The Aqueduct, are up for grabs, as are the labor force. Each building requires a certain amount of work effort in four different categories while each builder provides a few levels in each. 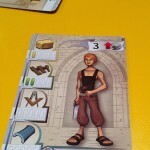 Combine workers to complete and score buildings, redistribute your workers to various projects, and become the grand architect. 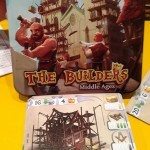 The Builders is available now for $18. 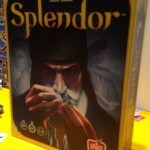 Moving to larger boxes, Splendor is a game of bidding on gem stone cards to create works of jewelry for wealthy clients. This game retails for $40 and will be available before summer. The classic game Hotel Tycoon will be making a move to North American markets “soon”. Travel around the board, invest in buildings, and try to be the last tycoon standing. 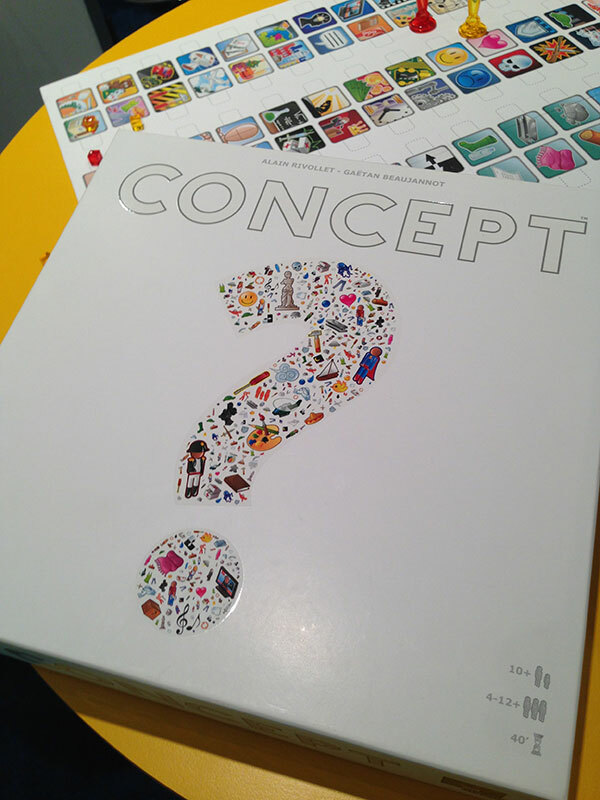 Concept is an interesting party game, where players try to guess a key word based on icons that represent different elements of the item. You know what? It’s better to go with an example for this one. 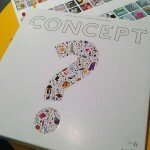 Jean draws a card and selects a word on it, then starts placing markers on a board covered with icons. Feminine, art. We start calling out “Mona Lisa”, “The Statue of Liberty”, but Jean places a concept marker on face. Markers in the color used on art go on red, orange, yellow… all the color spaces. Female, art, face, multiple colors… lipstick? 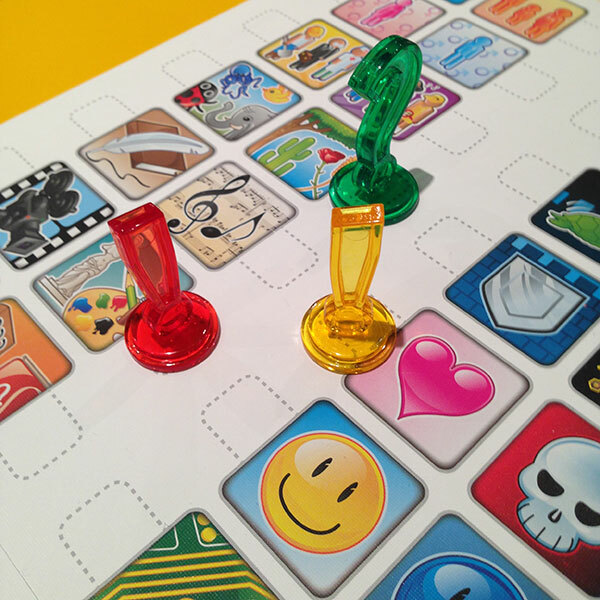 “Makeup!” This loud, abstract party game retails for $40 and should be available on February 28th. 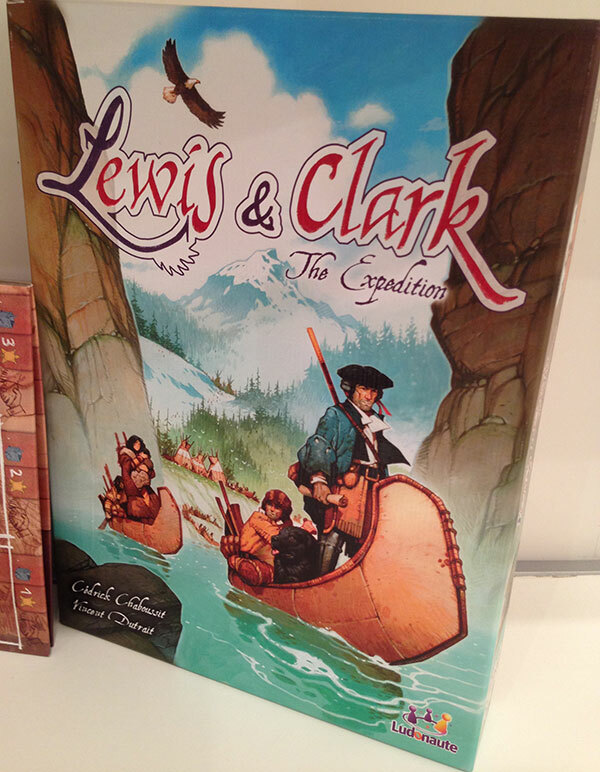 Lewis & Clark: The Expedition, available near the end of March, is a game of exploration geared towards the hobby gamer. 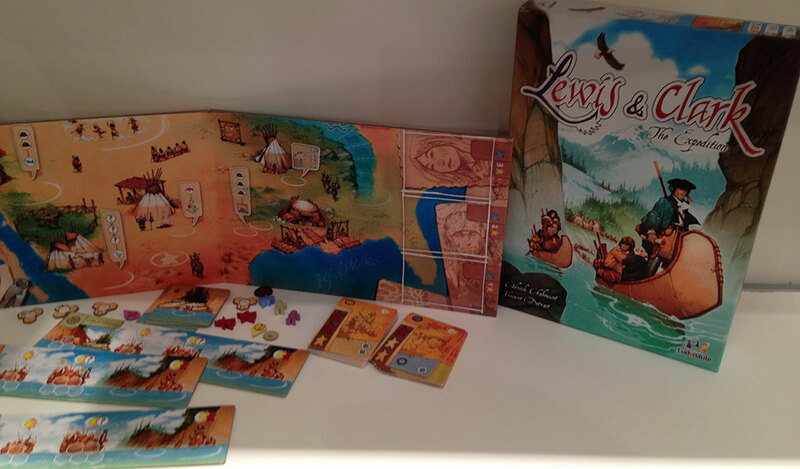 Players take on the roles of an expedition force, finding passage across western North America to the Pacific. 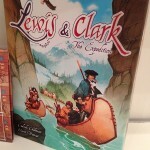 Lewis & Clark is a resource management racing game retailing for $45. Formula D will have a new race circuit board, New Jersey on one side, Sochi on the other. This will be available in March. While no price was mentioned at Toy Fair, past expansions retail for $30.